One start-up that we heard of repeatedly at the 2019 CES was Perceptive Automata. It has developed a technology that can monitor body language, access the gestures and predict the next behaviour pattern of pedestrians. Predictability of elements on road like motorists, pedestrians, cyclists etc. is an important aspect of safe driving. As cars aim to go autonomous, only identifying these objects may not be good enough. Having artificial intelligence to predict the behaviour of these elements will be an effective addition and an active safety feature to the car's self-driving capabilities. Perceptive Automata's technology, therefore, could be of benefit. It opens the possibility to predict the behaviour of the pedestrians by monitoring and assessing their motion and preparing the car's braking and safety systems to take evasive action or come to a complete halt. Similarly, the technology can also be used inside the car to monitor the body language of the occupants and preempt the possibility of the driver making a mistake. 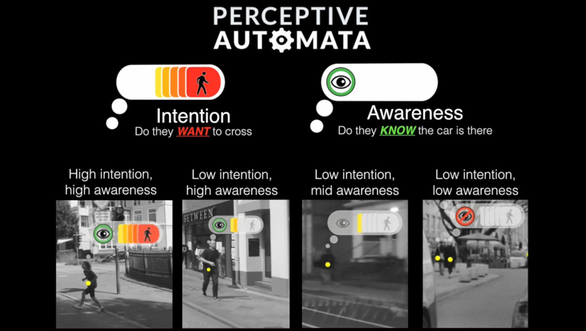 In fact, Toyota, Honda, and Hyundai have already announced their investments in Perceptive Automata and its technologies. On similar lines as Perceptive Automata, Toyota has announced the Guardian system at the CES, which predicts potential driver mistakes to take preventive actions in time to avoid a mishap. Interestingly, Toyota is taking another responsible step and has announced that it will also make Guardian available to its competitors once the technology is ready for mass production. Automotive solutions provider, ZF, too is working on a similar technology that uses imaging sensors and cameras to monitor various characteristics of the occupants. It can scan the face of the driver to monitor their attention levels and line of sight, and warn the driver of oncoming vehicles or anything that needs the driver's attention. These sensors can even detect the presence of other occupants and turn off airbags for the vacant seats or scan the occupants' body sizes, posture, and seating angle to alter pressure required of the airbag in case of a collision.